Leprechauns may hide gold at the end of the rainbow, but Rhonda of The Paint Brushed Boutique has discovered handmade treasure at the end of the spectrum. A stained glass butterfly, blue raspberry plum tutu and my fairy pinback button are arrayed into her vibrantly violet collection. Thanks for the opportunity to share treasuries! Want you to "sparkle plenty" . Thanks for the opportunity to post my tuesday treasury on your beautiful blog. Thanks for letting me post, sorry if posted twice! Found you through EBT and just added my Treasury Tuesday post. Thanks for this great idea! I love the colors in End of the spectrum! That color is so vibrant! It just pops right off the screen! what a fun linky! 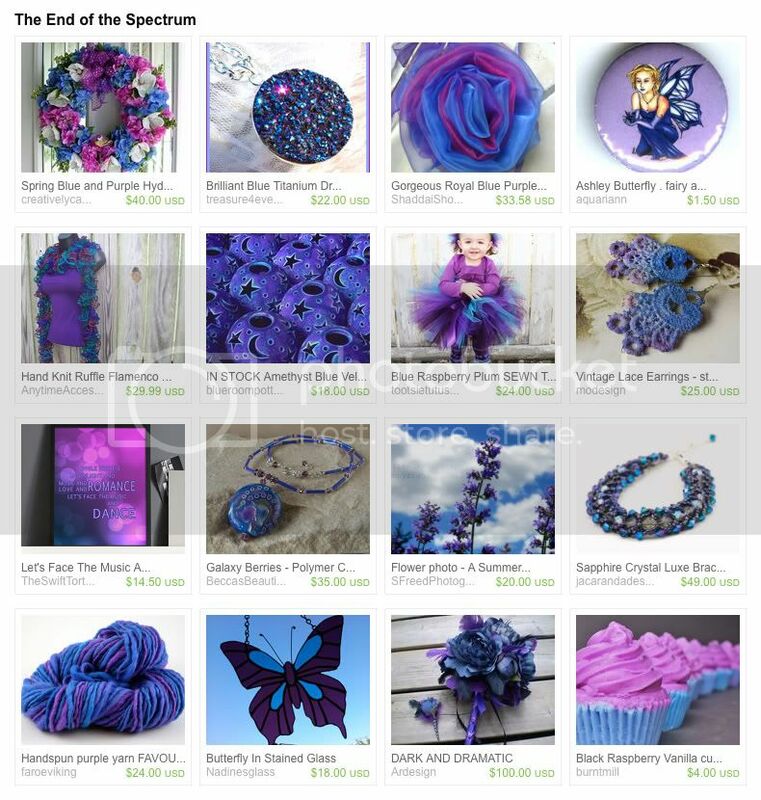 and i love that bluesy treasury. prettyprettypretty!